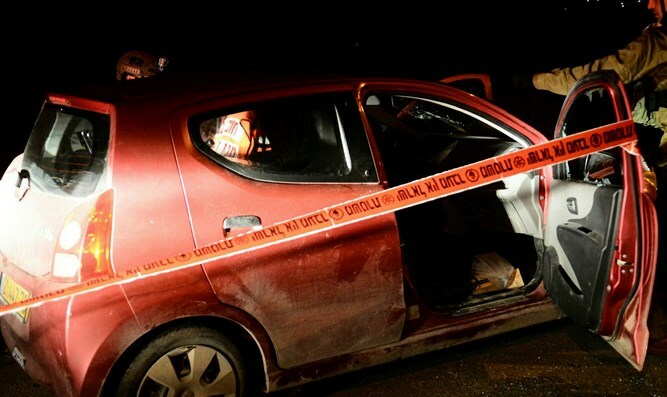 Security forces operate in Jenin-area town to capture terrorist responsible for murdering father of six in January. Israeli security forces on Saturday operated in the Jenin area to capture Ahmad Nassar Jarar, the terrorist who led the cell which murdered Rabbi Raziel Shevach, 35, on January 9. Jarar is the only member of the cell who has not yet been captured by Israeli security forces. Participating in the operation were the IDF, Shabak (Israel Security Agency), and Israel Police's special forces Yamam unit. Intelligence information pointed to a number of possible locations where Jarar might be hiding, but he himself was not captured. However, Jarar's wife and father-in-law were arrested and taken for interrogation. During the operation, riots and disturbance occurred, and local Arabs attacked the security forces, throwing firebombs and rocks at them. "Since the shooting attack near Havat Gilad, the IDF and Shabak have been investigating the attack and working to arrest the responsible terrorists and those who aided them. Over the past month, several Palestinians have been taken for interrogation on suspicion of involvement in the attack and of providing aid to the terrorists which carried it out." "Over the last weekend and during the past few hours, IDF forces from the Menashe Brigade, along with Shabak and Border Police, arrested several additional suspects, transferring them for interrogation. In the past few hours and while the forces were working, disturbances erupted in a few locations and security forces responded by using crowd control methods. We are investigating the claim that five Palestinians were hurt. The terror attack is still being investigated, and our operations in the field and in the town of Burqin (where the forces operated on Saturday - ed.) and in the refugee camp are ongoing."